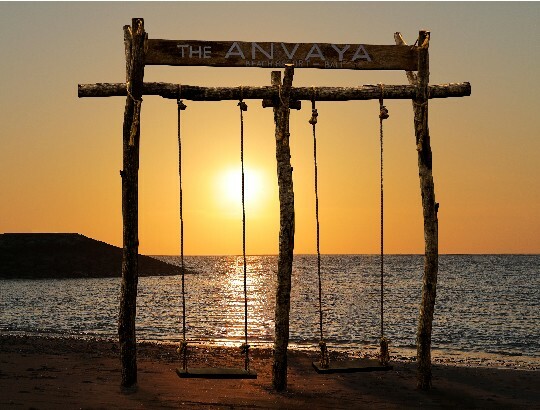 Kunyit Restaurant of The AN..
Our beach is a hidden gem for those who are seeking for a sanctuary in Kuta. 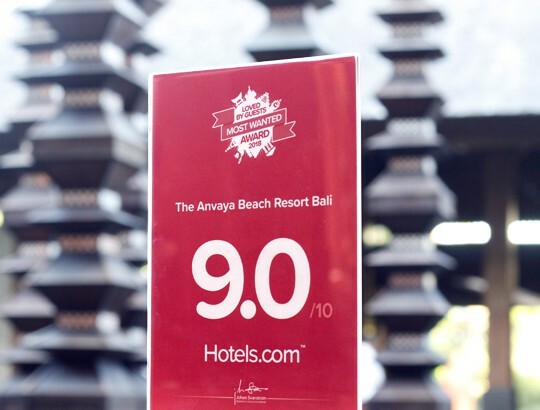 The peaceful sea breeze, sparkling white sands and an exquisite ocean view combined at best to provide our guests a dream paradise. 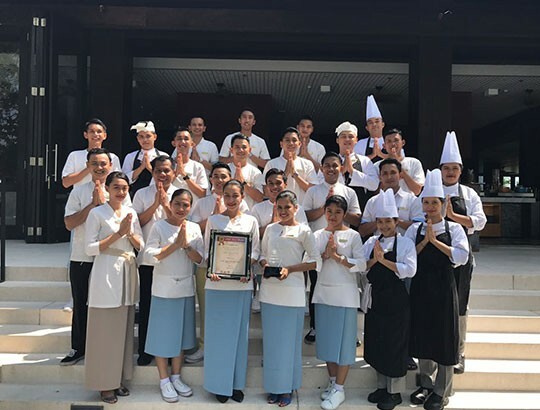 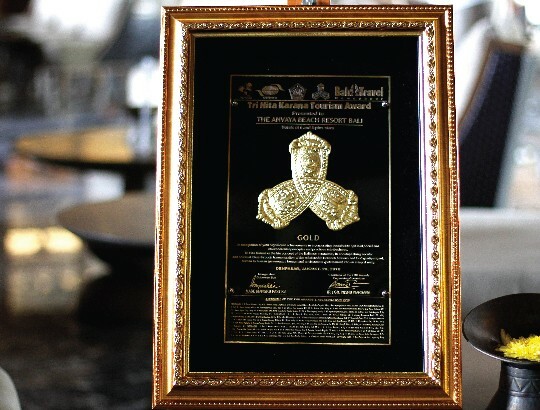 The entire team of The ANVAYA Beach Resort Bali is honoured to announce that in its second year in operation the resort has been awarded its second Gold Medal at the Tri Hita Karana Awards 2018. 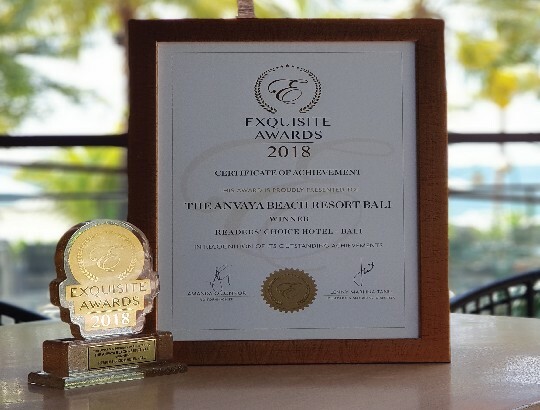 The high-end, luxurious publishing company Exquisite Media recently held its first Exquisite Awards 2018 at which The ANVAYA Beach Resort Bali was honoured as a winner in the Reader’s Choice Hotel awards. 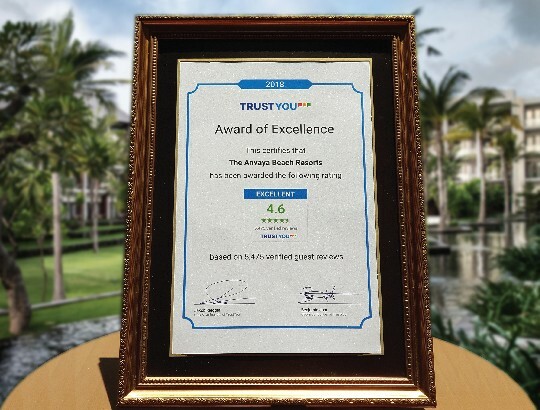 The ANVAYA was awarded with an excellent rating at 4.6 with total 5,475 verified reviews on Trust You. 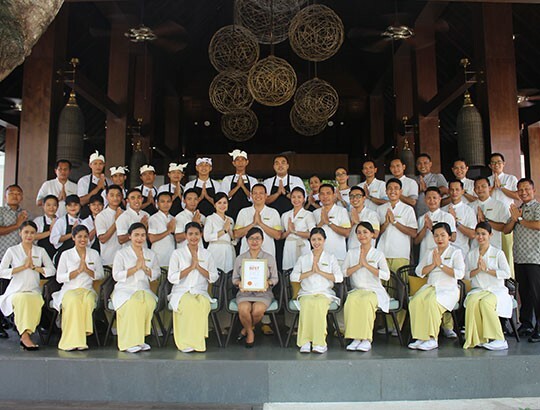 The award was given during the Hotel Revenue & Distribution Summit in Bali on 18th of September 2018.
to seek other lives, other souls.